About six months ago, I took the (very spontaneous) plunge and booked the Indochina Discovery trip with G Adventures with my best friend. I’ve never been to Asia and it’s been about 10 years since I had a continuous month off work so I’m very excited as the 6 week countdown begins. The Indochina Discovery tour is designed to pack in as much of Thailand, Vietnam, Laos and Cambodia into 4 weeks as possible. 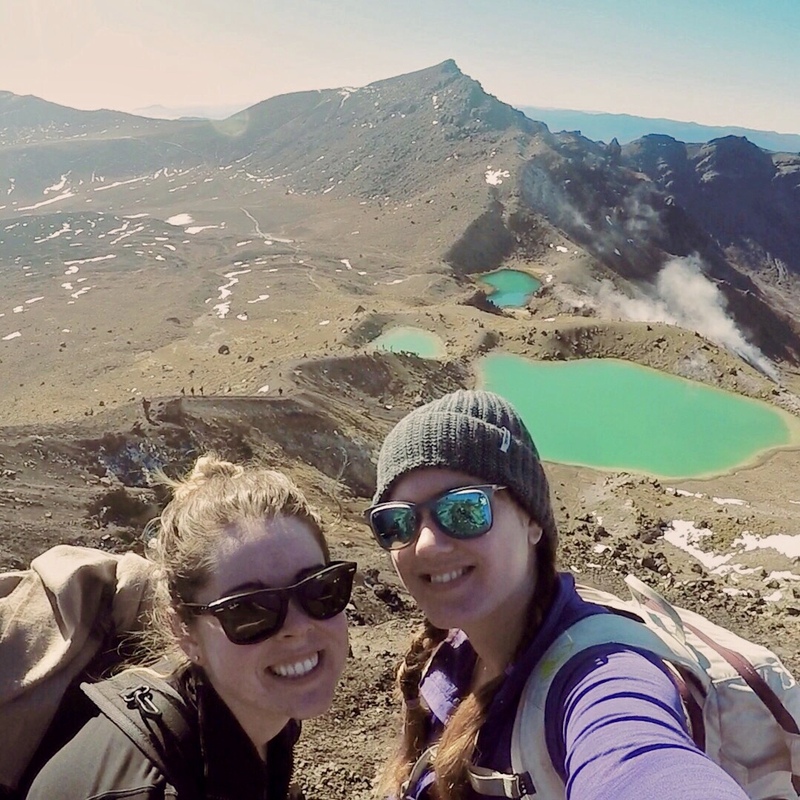 G Adventures – who Sarah and I did the Kilimanjaro trek with – a fantastic at organising a flawless trip so I’ve got complete faith that the tour will be incredible. But with all of our accommodation and transport organised by G Adventures, that leaves very little for me to do right? Completely wrong! I’m now in a flurry of packing and organising panic as I try to pull everything together in the last weeks running up to the tours! If you’re doing a similar tour – one that’s semi-organised by an operator – or thinking of going at it alone, I’ve made a list of things that need doing before jetting off! 1. Visas: We’ll be visiting Thailand, Cambodia, Laos and Vietnam and the only visa we need ahead of time is a Vietnamese one. We’ve decided to go with a Vietnam 30 Day Travel Visa through postal application (costs about £60 incl postage) and they say it takes about 5 days to process. Thailand allow a 30 day tourist visas upon arrival and we’re staying exactly 30 days. Laos and Cambodia visas can be gained at entry. 2. Vaccinations: For the trip, we were recommended to get rabies, Japanese encephalitis, hepatitis A and B, typhoid, diphtheria, polio and tetanus. That is a lot of vaccinations if you plan on getting them all (I did!). Try to stagger then as much as you can and start booking in for shots as soon as you’ve confirmed your trip. This will spread the cost as a well as softening the pain in each arm! Most vaccinations are free from the NHS so do check with your local GP clinic before booking into a private travel clinic. However, rabies and Japanese encephalitis were expensive (about £160 for rabies, £180 for Japanese encephalitis). Worth thinking about this in your budget too. 3. Malaria tablets: Because we’re travelling around so much, our risk of malaria varies. However in some areas like the Mekong basin, the risk is very high. We’ve decided to go with malarone – it’s suitable for the area (that means the malaria virus hasn’t become resistant to malarone there) and it has the least side effects. It is expensive – pharmacies vary but expect to pay at least £3 per tablet – but after a terrible experience getting sunburn through SPF 50 at 9am in Zanzibar while taking doxycycline I decided to foot the bill for peace of mind! 4. Travel and medical insurance: I’m quite fortunate that my work include travel insurance and medical insurance as part of my contract, so really I’m just gathering the paperwork! But travel insurance is a must for a trip like this! 5. Backpack: I’m going to write a whole other blog post about picking your backpack because I believe it’s an investment! It holds everything you own for the time your away, it pretty much lives on your back and if anyone has read Cheryl Strayed’s novel Wild, you’ll know how important it is not to buy a ‘monster’! Stay tuned for my backpack guide! So I’m making my way through the list and ticking off each day ’til the trip begins! Indochina Discovery here I come! Do you have any tips and tricks for this preparation stage? We love planning trips so please share your comments below! Do you have any advice with regards packing? I don’t know what to take. Was there anything you didn’t take and then you regreted and viceversa? Will I need a mosquito net? I’m quite lost!! I’m reading your blog and it’s great!!! It’s helping me a lot with my upcoming trip. Aw you’re going to have an amazing time! Glad you’re liking the blog posts, there will be more to come for the rest of the trip! Hmm, I don’t think there was anything we missed in terms of clothing, perhaps an extra ‘temple appropriate’ outfit, like long pants and shoulder covering t-shirt, as I only had one and laundry service was about a week apart each time. That said, you can definitely pick up elephant pants or a maxi skirt in the night markets! I was surprised by how much wear I got out of my fleece jumper – on buses, night trains, the Mekong cruise in Laos – it was definitely chillier than we expected further north! For the mosquito net, I didnt bring one and we were provided with them at the homestays, albeit most of them had lil holes in them! However, I did get dengue fever in Northern Thailand somewhere, so if you’re very worried and it’s not too big and bulky it might be worth it! But definitely bring a cotton/silk sleeping bag liner!! They were so useful on the night trains and homestays! A post about what to pack could be quite handy, at least for new travellers as myself. Cant wait for the trip!!!! I read your post about dengue fever 🙁 , I hope you are felling better. I’m feeling heaps better – thank you! 🙂 I’m just so grateful it happened when I returned home and not while I was away! I’ll add a ‘what to pack’ post to the list for you! I know I was really confused at the start but as long as you have your passport and bank card you can’t go too far wrong! Enjoy all the excitement in the run up, you’ll have a blast! Hey! Loving this post as well as the Asia related info. I’m on this tour soon in July and it’s been worrying me but reading about your experience is helping a lot! The main thing I’m concerned about is scams. I’ve read online that they are quite prevalent in Asia so I was just wondering if you’ve experienced that at all? Also the vaccinations is a bit mad…£180?! I’m also doing this in a few weeks. Regarding anti malaria tablets. I am hesitant about getting a months worth therefore where are the highest risks of malaria if I was to only take them for those periods of time?